The Ashton Cabinet gets its rich complex taste from the soil and aging of the leaf. The Cabinet's 4 to 5 year old Dominican filler blend has a rich, complex and well rounded taste. The extraordinary Connecticut shade wrapper is aged for an extra year and has an elegant palamino color resulting in a smooth and creamy flavor. 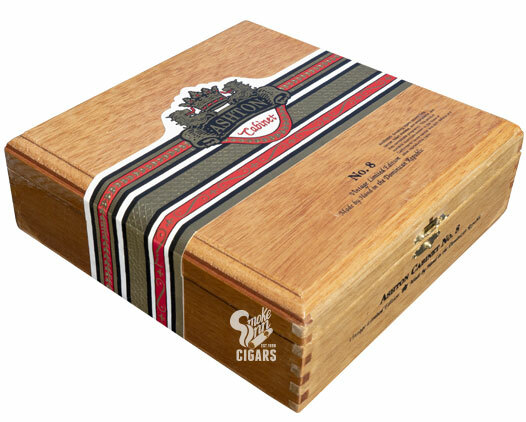 The Ashton Cabinet includes no less than six different tobaccos and ends with a "big finish." Seven years pass from seedling to finished cigar before Ashton Cabinet is brought to fruition and presented for your smoking pleasure.